Golden Eagle Pest Control is a dedicated and professional pest control company who treats both residential and commercial properties throughout South Sacramento, and northern California. If you live in or near South Sacramento, contact us today and schedule a visit to your home or business at a time that is convenient to you. 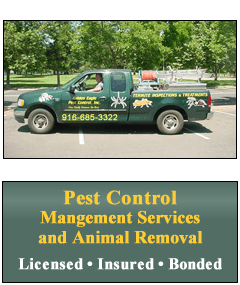 We are a pest control company with the goal of providing a pest-free environment where your South Sacramento home or business and your family's health are protected.